Turkey Union of Chambers and Commodity Exchanges (TOBB), Defense Industry Sector Council Meeting took place with the chairmanship of Council Chair Yılmaz Küçükseyhan presiding at the Union Center Social Facilities Conference Hall on May 17, 2018. The Undersecretary for Defense Industries Prof. Ismail Demir and senior representatives of the Turkish defense and aerospace companies attended the meeting. Upon Council Chair Küçükseyhan’s opening remark and his delivery of information on the 3-month period of the Defense Industry Executive Committee, General Secretary of the Defense and Aerospace Industry Manufacturers’ Association (SaSaD) Hüseyin Baysak presented the Industry’s Performance Report for 2017 to the participants and assessed the collected data. TOBB Defense Industry Council Chair Yılmaz Küçükseyhan conveyed information on the activities they performed within the 3-month period after their meeting last December. Noting that the cross-border military operation conducted increased the prestige of our defense industry and Turkey abroad, Küçükseyhan told the members of the industry: “In addition to the success of our hero soldiers during these operations, the contribution of our defense industry could not be denied. We successfully surpassed a test with our armored battle vehicles, attack helicopters, unmanned air vehicles, artillery systems, unique missiles, rockets and smart ammunition. Our industrialists worked in three shifts and gave great support to our Armed Forces”. Underlining the requirement of immediate collection of feedback from industrialists after these operations Küçükseyhan added, “Our industrialists have a responsibility here, they have to collect the feedback through the visits they pay to the relevant regions in order to learn and examine the performance of the products they deliver to the operation zones. Our companies are able take the support of our Undersecretariat in this respect and reach the regions they cannot access through its guidance. They need to identify the deficiencies, weaknesses and surely the superiorities through the feedback we receive from all units using these technologies and products and build the required reports as outputs and submit them to the Undersecretariat for Defense Industries”. Following his remarks, Küçükseyhan invited the SaSaD General Secretary Hüseyin Baysak to the stage to present the 2017 performance report compiled from the responses of 86 companies to the queries prepared by the SaSaD and which was distributed to all members and special members. SaSaD General Secretary Hüseyin Baysak noted that critical developments occurred in the performance data of 2017 in respect to turnover, exports and employment and conveyed the following information to the council members: “In light of the data we collected from our 86 companies, I would like to say that this industrial performance reflects 90% and over depending on the profile of the participants. Unfortunately we could not collect the required information from the military factories and shipyards once again this year. However, as a result of the negotiations we made with the authorities, we assess that we will be able to gather the figures from these players in the upcoming years. We included the data we collected from these associations in the past years ($650 million) in order to avoid any changes in the figures. In concern with the Civil Aviation area, we could not collect the required figures from Turkish Airlines Technic and service providers either. We assess that we may reach different figures if we could add those figures to the performance report”. Underlining the fact that the Turkish Defense Industry achieved a turnover of $6.693 billion in 2017 Baysak added, “In 2017 a turnover of $6.693 billion was achieved. We reached this figure by adding the revenues of the military factories and shipyards ($650 million). We examine the figures of the Turkish Defense Industry in two categories; total domestic sales and total foreign sales. When we analyze the foreign sales figures of 2017, we see that a sale of $1.824 billion was achieved. In addition to the performance report of 2017 published by Turkish Exporters’ Assembly (TİM) revealing a figure of $1.739 billion, our report displays that a sale of $84 million was achieved in light of the data received from our sector members as a foreign exchange gaining service. When we add this figure to total sales, we see that we achieved $1.824 billion of foreign sales in 2017. The total sum of the orders collected by the industry’s players in 2017 was $8.055 billion, the amount paid to import items was $1.544 billion. The resources allocated to Product and Technology Development was $1.237 billion and the number of staff employed in 2017 was 44,740”. Touching upon the fact that they left behind a roller coaster year when comparing 2017 with the past years Baysak said, “While an increase of 12% was achieved in the total turnover, a 7% decrease was endured in foreign sales revenues. Despite the 3% increase in foreign sales figures compared with the previous year, as a result of the sharp decline in the services that gain foreign exchange, we lagged behind the figures of the year 2014 in 2017 in terms of total export figures. A new order of $11,9 billion was received in 2016, whereas in 2017 the new orders collected fell to $8.055 billion with a decrease of 32%. Imports increased in parallel with the increase in total turnover. In 2017 our imports were actualized as $1.544 billion with an increase of 20%. Yet, a decline of 2% was observed in Product/Technology Development”. Mentioning that the breakdown of the total turnover, Baysak reported that the sales of Land Systems was $2,36 billion, sales of Military Aviation was $1.132 billion, Weapon - Ammunition Missile System sales was $828 million, civil aviation sales was $660 million, Naval Systems sales was $569 million, total of MRO (military) sales was $171 million, Logistic Support Sales accumulated to $134 million , sales regarding Information Technologies was $47 million , sales related with security components was $47 million , CBRN sales was calculated as $19 million , Space Systems sales was $6 million and sales of other items was realized as $650 million . Baysak mentioned that the total domestic sales constitute 70% of the total turnover, excluding the sales of the military shipyards and factories and continued, “When we analyze merely the turnover of our industrialists, of the sales reaching $4.222 billion, a portion of $3.427 billion is made to end customers, and $795 million is composed of the sales conducted to industrialists. The total share of foreign sales in total turnover was 30%. $1.137 billion of these sales were made to industrialists and $684 million of this figure is composed of the sales conducted to end customers. Our total foreign sales income was actualized as $1.825 billion. $1.739 billion of this figure was from the exports and the remaining $84 million was from the foreign exchange gaining services. In 2017, the sales conducted to America was $635 million with an increase of 8.5% (in 2016 it was $585 million), while the sales executed to Europe was $464 million with an increase of 3.3%. The sales conducted to the Middle East, Asia, Africa, South America and other countries were actualized as $721 million with a decrease of 21.5% in 2017 compared with the previous year (in 2016 the total amount of sales was $919 million)”. Speaking of the development of the foreign sales figures over the years as well, Baysak emphasized that the compound yearly growth rate between 2012 and 2017 was identified as 2.32%. Baysak: “While the change of foreign sales figures compared with the year 2012 varied as 14% in 2014, 18.63% in 2015, 20.11% in 2016, 12.18% in 2017, we observe that the growth of 18.15% achieved in 2014 compared with the previous year started to lose momentum in the following years”. Underlining the decline of 32.39% in the total orders received in 2016, Baysak stated that the segment receiving the highest amount of orders was the Land platforms/systems similar with the situation in total turnover and that it was followed by civil aviation. Baysak: “We observe that the civil aviation industry has the greatest potential. A total amount of $2.392 billion in orders were received in the Civil Aviation area. In the military area, Land Systems received $2.478 billion in orders, Military Aviation Platforms and Systems received $1.336 billion in orders, Weapon - Missile and Ammunition orders reached $990 million, and a total of $600 million in orders were received for Naval Platforms and Systems. 54% of the orders received were domestic orders, while 30% was received from the United States of America, 8% were received from Europe and the remaining 8% were received from other countries. 76% of the total domestic orders of the year 2017 ($4.343 billion) was collected from the end customers while 24% ($1.024 billion) was received from the industrialists. The total amount of foreign orders in 2017 was $3.712 billion and 78% ($2.886 billion) of this figure was received from end customers and the remaining 22% ($826 million) was collected from industrialists”. Conveying information on the breakdown of the total import figures of the year 2017, Baysak noted, “50% ($776 million) of our imports reaching $1.544 billion was from Europe, 35% ($536 million) of it was from the United States of America and the remaining 15% ($232 million) was from other countries. Our imports are composed of raw materials and end - products”. While Turkey’s imports followed a roller coaster graphic in the years 2012 - 2017, it is observed that Turkey conducted an import of $1.327 billion in 2013, in 2014 the aforesaid figure slightly increased and reached $1.351 billion, and the imported raw material and products fell to $1.067 billion in 2015. The total amount of imports conducted in 2016 increased to $1.289 billion and the total amount of imports in the defense industry reached $1.544 billion in 2017. Also sharing the product and technology development figures of 2017 with the participants at the industry’s assembly Baysak said, “We observe an expenditure of $1.237 billion was made to product and technology development. It is understood that a part of them were composed of project incentives provided through governmental resources. $242 million was allocated to total technology development and $995 million was allocated to total product development. A significant increase was observed in project incentives enabled by the government in 2017. The incentives and investments provided by the government was $741 billion in 2016, yet in 2017 this figure reached $942 million, and while the resources allocated through the equity capital was $513 million in 2016, it fell to $295 million in 2017”. From the pamphlet distributed to the members at the council meeting, an upward trend in the governmental incentives and investments was seen in respect to product and technology development especially since 2014 and the share allocated by the companies from their equity capital seem to follow a roller coaster behavior. The government allocated $537 million to product and technology development in 2014, $616 million in 2015, $741 million in 2016 and $942 million in 2017 as project incentive resources while the share allocated by the companies from their equity capital was $350 million in 2014, in 2015 it fell to $287 million, it increased back up to $513 million in 2016 and remained quite behind the governmental project incentives in 2017 with $295 million. Sharing the data on total employment with the members of the assembly, Baysak said, “The total number of employed individuals reached the level of 44,740 and this figure being 31% of the overall figure is interpreted as an indicator of the intensity of technology production, design and development activities”. In light of the data shared with the public, of the 35% total employment level (15,709 persons) were employed in production, 21% (9,509 persons) were employed in Product and Technology Development, 42% were working in administrative and supportive units and the remaining 2% (752 persons) were employed in executive positions. According to the employment data, 62% of the engineers (13,703 engineers) employed by the defense industry were university graduates, 34% of them were post - graduates and 4% of them had PhDs. Following the presentation of the 2017 industry performance report, SaSaD General Secretary Hüseyin Baysak made assessments based on the concrete outputs and said, “As a result of the severe fall in the oil and natural gas prices in 2016, the procurement of the countries with such reserves was effected and the related countries implemented significant cuts in procurement expenses. In light of both these developments and the political developments that occurred in parallel, a recession in the foreign market was observed in 2017 and despite all these aforesaid facts, the turnover of the industry in 2017 increased by 12% and this may be regarded as a positive development. We should not forget that, when considering the increase of 3.7% of the exports compared with the previous year, we may assess that the domestic market provided a crucial support in this given period. The hot environment in the region, the cross-border operations and the security measures at the country borders made important contributions to this development as well. When we take into the consideration that the sales volume of the Turkish Armed Forces establishments ($650 million) was reflected as they were similar to the previous years and that the civil aviation and MRO (Turkish Technic and other service operators) data could not be fully derived, this current turnover at the level of $6 billion would exceed $8 billion”. Emphasizing the requirement to open up to foreign markets to achieve the sustainability of the competencies acquired by the industry Baysak said, “Since 2014 there has been stagnation in exports in sales to foreign markets. In this regard, critical tasks fall to all shareholders of the industry as well as our Undersecretariat. There are certain implementations we suggest at various meetings toward increasing exports. State to state sales is one of them, our Undersecretariat spoke of the difficulties of this implementation many times but we observe successful examples of this method in foreign countries. On the other hand, in respect to the Barter implementation that appeared on the agenda in the last period, we see that the developments were not proceeding at the intended speed. Our Defense Industry companies have been spending amounts at the level of millions at international defense industry events for the promotion of their products and capabilities. Due to the insufficient incentives and support provided in this area, our companies, most of the time, do not even bother to apply for these incentives. We assess that the incentives and support for the events regarding the promotion of our special products and capabilities should be evaluated under a special status and the incentives should be taken into consideration within this context”. Baysak pointed to the upward trend in the employment figures of the industry and stated that this development in employment was achieved with the further extension of the business volume of the industry and this picture that is emerging at such a period where the rate of unemployment in the country increased gave a critical message in respect to the future of the industry. Baysak also mentioned that they assessed they will be soon receiving critical results from the SAYP program applied and extended by the Undersecretariat for Defense Industries toward facilitating the employment of qualified personnel and the regulation on the fellowships granted for studies abroad. Baysak stressed that the development expected on reverse brain drain has not been achieved yet and underlined that the government and industrialists should be conducting more effective activities to that end. Expressing that the domestic market is expanding Baysak continued, “We are aware that the expansion of the domestic market is of vital essence for the extension of the Turkish Defense Industry. Within the scope of the report we prepared in 2014 on the modernization of the Turkish Armed Forces, we observed that the systems and products in the inventory were quite old, 30 - 50 years old. We believe that they should be replaced with new systems or be modernized. The activities to this end need to be accomplished immediately”. Underlining the severe decrease in foreign sales revenues as well Baysak said, “Approximately 40% of the exports we conduct to Europe and America are composed of sales arising from offset contracts. We witnessed a decline in the sales conducted as a result of business development and marketing activities of our industrialists in other regions, referred as the other countries and I would like to state that we are disappointed by this fall”. Baysak underlined that due to the increase starting in the natural gas and oil prices, the Middle East region regained its importance as a critical market and noted that as the country they were capable of conducting sales of platforms and products to countries of the Pacific - South Asian region and to the end customers, adding that the North African and Sub - Saharan African and Latin American countries would be critical markets for our country as well. Furthermore, Baysak expressed that they hoped the positive developments in the Middle East market and specifically with the United Arab Emirates and recent regression in the business potential which was acquired through the political developments in Saudi Arabia would pave the way for opening these markets to the industry again through the creation of a positive atmosphere. According to export figures revealed by the Turkish Exporters’ Assembly (TIM), on May 1st, 2018 Turkey’s defense exports for the period January 1st – April 30th, 2018 increased 17,24%, compared to the same period last year, and reached $594.649 Million. The Turkish Defense & Aerospace Industry’s total arms exports amounted to $190.458 Million in April 2018, which represents a 38.3% increase compared to April 2017. According to TIM’s figures Turkish Defense & Aerospace Industry exported around 238.102 Million in defense and aerospace equipment to North America/USA, $159.463 Million to EU Member Countries, $37.783 Million to other European countries, $99.523 Million to Middle East countries, $20.972 Million to Commonwealth of Independent States (CIS), $37.783 Million to other Asian countries, around $13.355 Million to African countries and $8.009 Million to Far East countries. According to TIM figures the list of the top 10 countries that imported defense and aerospace products from Turkey during January 1st – April 30th, 2018 is composed of; the USA, Germany, Oman, the Netherlands, India, the UK, Azerbaijan, France, Switzerland and Italy. With a total of $232.646 Million in purchases United States was the largest recipient/importer (mainly military and civil helicopter and aircraft parts, and component sales realized under offset commitments), followed by Germany with $71.563 Million, Oman with $70.724,740 Million, the Netherlands with $25.798 Million, India with $24.336 Million , the UK with $19.241 Million, Azerbaijan with around $10.566 Million , France with $9.999 Million, Switzerland with $9.978 Million , and Italy with $9.184 Million . Qatar on the other hand has imported $8.399 Million worth of defense and aerospace items from Turkey, which was merely around $988 thousand during the same period in 2017 thus represents a 749.77% increase, the largest one in terms of rate of increase. Following the presentation of the defense and aerospace performance report of 2017, SaSaD General Secretary Hüseyin Baysak conveyed information to the participants on the products and systems that were prepared by Frost Sullivan in 2015 which will come up on the agenda until 2026. Upon the completion of this presentation, the TOBB Defense Industry Council Chair Yılmaz Küçükseyhan shared his views with the members of the assembly. 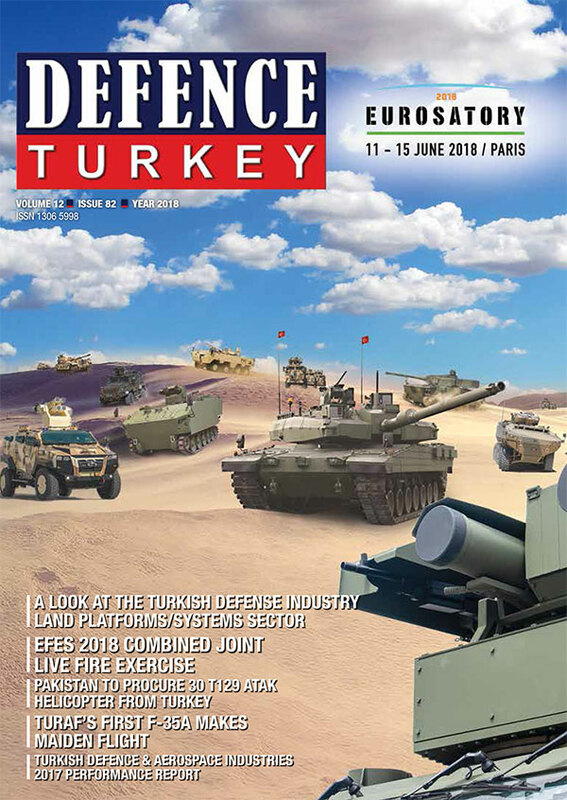 Küçükseyhan mentioned that they were preparing an industry report for June regarding the regions in which Turkey has markets, in which the Turkish Defense Industry is compared with the World Defense Industry and continued, “In this report we prepare, we will be revealing which countries dominate which markets with which products considering all regions. You will able to observe the direction of technology until the year 2020 in this report as well. We plan to publish this report by the end of June”. The agenda item regarding the asperities affecting the industry, the expectations of the main contractors, wishes and demands were shared with the participants by the Vice Council Chair Yılmaz Güldoğan. Güldoğan expressed that regarding the challenges affecting the industry and the wishes and demands of the main contractors, there were issues such as guarantee letters, export licenses, project implementation schedule, penalties for delays, intellectual and industrial property rights, warranties and force majeure events and added that the guarantee letters issue remained under the SaSaD suggestions regarding type contracts and that the Undersecretariat for Defense Industries conducted activities to this end, notifying the participants that the subject was considered affirmatively. In concern with the export licenses that is another issue, Güldoğan stated that it was impossible to fully and clearly know the products subject to the export licenses during the contract stage especially in R&D projects and added that they demanded an easier and applicable approach to be found regarding this issue and that their demand was received affirmatively by the Undersecretariat for Defense Industries. Güldoğan noted that in respect to the penalties for delays, they particularly focused on not implementing any penalties for the delays in intermediate deliveries and stated that they demanded the delay penalty to be assessed during the final delivery upon the completion of the project and informed the council members that their demand was assessed positively. Vice Council Chair Yılmaz Güldoğan touched upon the requirement for limiting the damages to be compensated by the contractor in cases of the violation of intellectual and industrial property rights and concluded his remarks by stating that the warranty rates demanded in advance should be decreased to reasonable levels, adding that there were problems caused by the flow down of the contracts directly to the subcontractors. At the conclusion of the TOBB Defense Industry Council Meeting, arriving at the hall after the networking break, Undersecretary for Defense Industries Prof. İsmail Demir made assessments on the industry’s performance in 2017 and on the expectations for the year 2018. Undersecretary Prof. Demir stated that the region Turkey is located in was a highly strategic region and especially nowadays considering the developments in the near future, a powerful defense industry fulfilling the requirements was critical. He pointed out the fact that there were increasing chronic issues since last year and rather than creating foresighted solutions to address these issues, instead conflicts, battles and developments causing suffering of people were endured. Prof. Demir stated that Turkish Defense Industry companies started exporting armored vehicles, air defense systems, rocket systems, simulators, military communication systems, command control systems and software to foreign countries and added that these activities increasingly continued in 2017 as well. Informing the participants on the indigenous products included in the Turkish Armed Forces inventory and proving their success in the field Prof. Demir said, “Our Bayraktar and Anka UAV systems proved themselves at the field. They assumed critical tasks throughout Operation Olive Branch and in the fight against terrorism for providing reconnaissance, surveillance and signal intelligence. Besides, our UAV systems assume effective roles in neutralizing the terrorist. On the other hand, the delivery tests of the Long-Range Surface to Surface “Bora” missile and the low altitude Hisar-A and Medium Altitude Hisar-O air defense systems vertical launch test and 360 degrees protective firing tests were successfully accomplished as well. While over a thousand “Kirpi” MRAP armored vehicles were delivered to the military and security forces, over 300 “Kobra” and over 300 “Ejder Yalçın” armored vehicles were included in the inventory of the Turkish Armed Forces. In order to fulfil the powerpack group requirements of our land and air vehicles, we finalized the tender processes in 2017. We reached the contract stage of the mass production of the Altay MBT with the BMC Company. The number of delivered T129 “Atak” helicopters reached 34”. Prof. Demir noted that they accomplished the delivery of over 20 thousand MPT-76 Modern Infantry Rifles in 2017 and underlined that the R&D projects in which the system components were developed in order to be utilized in the projects and in electronic warfare, electronic support and electronic attack systems and projects were launched additionally. Mentioning that the industrial strategy document for 2018 - 2022 has been published, Prof. Demir shared that projections for the future of the industry as well as the strategic aims, targets and the activities to be conducted to realize the aims and targets were included in the relevant document. The Undersecretary for Defense Industries added that they listened to the issues mentioned as part of the previous item of the agenda stating that the activities for their solution were on course and continued, “We are aware of the problems, but the repetition of the same issues also indicate the lack of concrete steps taken towards their solution. As the Undersecretariat for Defense Industries, we exert utmost efforts to launch various credit mechanisms and direct our advice regarding this issue to our executive committee”. Noting that they took certain solid steps regarding warranties, Prof. Demir continued, “In line with the directives issued within the Undersecretariat, our colleagues are taking the initiative in treating the companies in a more flexible manner. We believe that such an approach will pave the way for the industry”. Prof. Demir stated that following Operation Olive Branch, they received feedback on the systems and platforms utilized in the operation field and said, “I would like to mention that new projects and requirements came up on the agenda as a result of the feedback we received after this operation. Our companies’ existence in the operation field is of vital essence, we observed this, too. Our companies with products in the field remained in the operation field throughout the operations. The Turkish Armed Forces and our security forces have their logistical support and sustainment activities but the actual existence of our defense industry companies in the field is quite critical and valuable. We believe that our security forces would be appreciating their value as our companies display their capabilities in the field”. Underlining that the activities for technology development and human resources also continued, Prof. İsmail Demir stressed that the SSTEK became partners with 10 companies to this end and continued, “Our activities in a series of subjects ranging from rocket technologies to semi - conductive chips, from test infrastructure to communication systems, from camera detectors to various engine development projects continue. Through the protocol signed with Ziraat Katılım, we are building the infrastructure that will support such investments, become partners with them and carry them to the future”. Stating that the support they provide to the private sector in terms of loan services, R&D financing and industrial participation for infrastructural investments would be continuing in the upcoming term as well, Prof. Demir eventually expressed that the process regarding facility security clearance and production licenses gained momentum at the Ministry and the required steps towards solution were taken. Regarding facility security clearance issue, Prof. Demir mentioned that not all the companies were obligated to acquire that certificate and added, “The requirement of all companies active in defense industry acquiring this facility security clearance is a huge question mark. For instance, why would a facility manufacturing bolts or valves for the defense industry require a facility security clearance? We express this constantly at all platforms and hope and expect this issue will be resolved”. Following the remarks, Prof. Demir expressed his gratitude to all participants and the council members of the industry and concluded his speech. The meeting ended after the Q&A session held between the participants and the Undersecretary for Defense Industries Prof. İsmail Demir and the closing speech made by Council Chair Yılmaz Küçükseyhan.